KAIZER Chiefs coach Ernst Middendorp feels his midfielder Aro “Dax” Andrianarimanana was robbed the Absa Premiership Man of the match award. The German-born tactician was not happy that the award was given to Black Leopards midfielder Lefa Hlongwane. 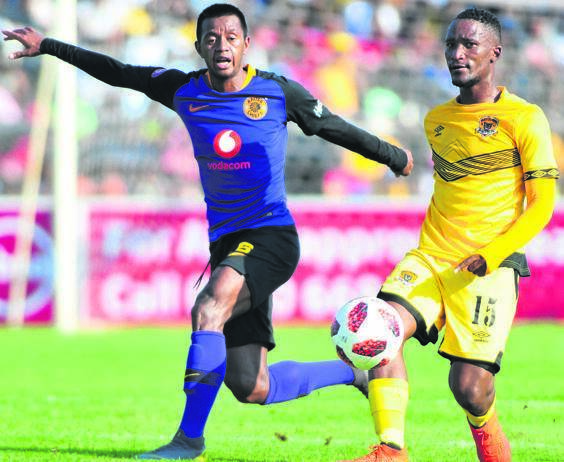 The Madagascar-born star scored for Amakhosi while Leopards goal came via Hlongwane’s header to ensure the teams share points in their 1-1 draw at Thohoyandou Stadium on Saturday. “I think Dax deserve to be man of the match. That’s my opinion,” said the former Maritzburg United coach. “He showed some good quality from the start until the end of the match. “He is coming to the party now for us ahead of the Nedbank Cup semi-final against Chippa United. Dax joined the Soweto giants this season and he is slowly winning the hearts of Chiefs fans. Middendorp was not happy that his charges made bad decisions when it mattered most, which cost them three points. “I am disappointed with the results,” he explained. “I think we could have won this game as we created many chances, but we made bad decisions with the last touches. “But I am happy with the performance and the response I got from the team coming from a disappointing 1-0 defeat to Baroka. Now that the league title is out of their reach, Middendorp hopes his side should finish the season in a respectable position. Chiefs are currently seventh on the log on 37 points with four games to play. They need to win the Ke Yona cup to avoid a fourth consecutive season without a trophy.